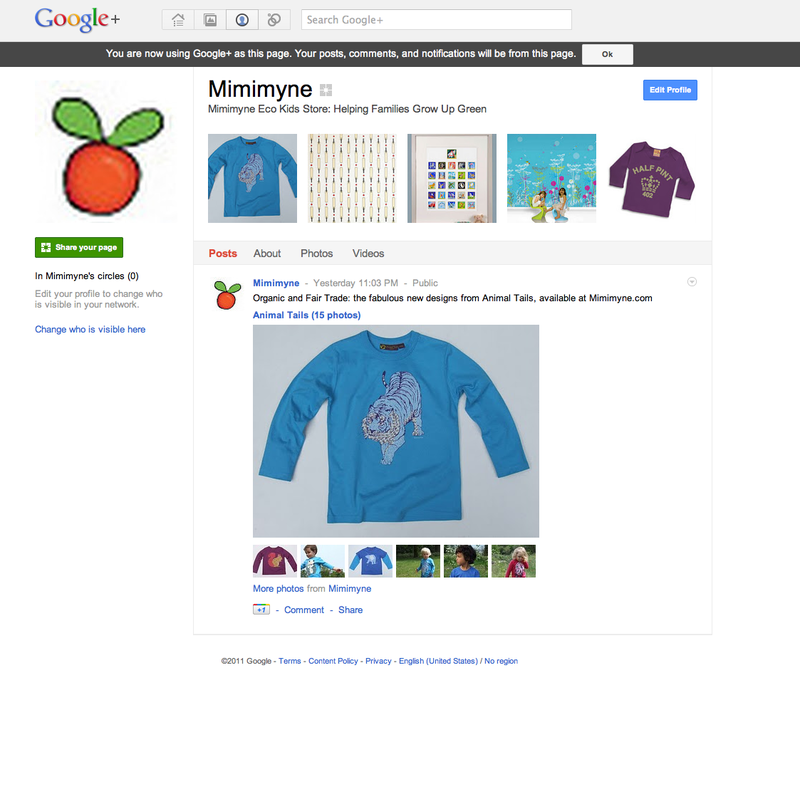 I have a Facebook Business Page for Mimimyne and am often looking for ways to improve it. I am a little behind at the moment as the change from FBML to iFrames means I will have to learn a new set of techniques which I haven’t yet found time to do. However, one thing I did want to do recently was run competitions for Mimimyne’s fans in a way that was consistent with Facebook’s competition rules. I found a great article by Mari Smith explaining Facebook’s promotions rules a little more simply which is a great starting point. 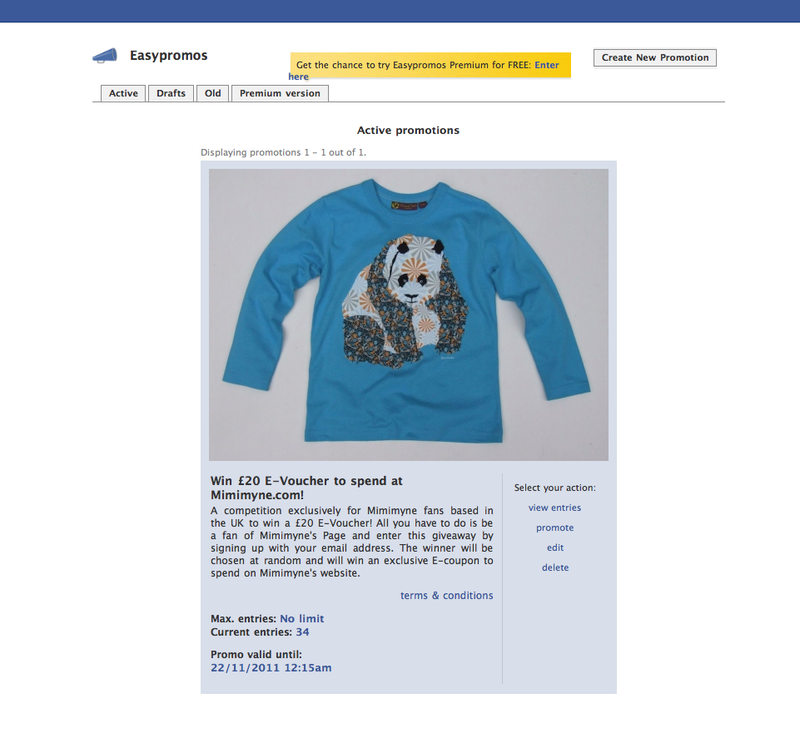 Essentially Facebook do not want you to run competitions through Facebook via interactions with fans on Facebook – for example, they do not want you to offer prizes to fans for Liking your page, or contact competition winners via Facebook. This makes life that little bit more complicated for business owners with Pages on Facebook… sigh. So I went looking for an app that would allow me run competitions on Facebook without breaking their rules and found EasyPromos. This is free for the first use so I tried it out to see how well it works. EasyPromos is a little tricky to install on your Page and it could do with more detailed instructions but once I had installed it it was quite intuitive to use. You set up a Promotion as a Draft and add an image, terms and conditions and a start and end date. The Promos page is also added as a tab to your Page. It works quite nicely in that it is easy to promote the page on your Wall so that existing fans will find it easily. You can ask for email addresses and images from competition entrants so that it is easy to contact them and choose what information will be displayed on the competition screen. I ran the competion and found that I quickly gained 43 new fans in a couple of weeks which was a great result for me. You can also display coupons to reward fans and set the Promos tab as a default landing page for visitors. Promos does seem quite a robust and flexible solution for small businesses although once you have run the first competition following competitions will cost $15 each. However, it will give business owners peace of mind knowing they are not breaking Facebook’s promotion guidelines and it does look professional.